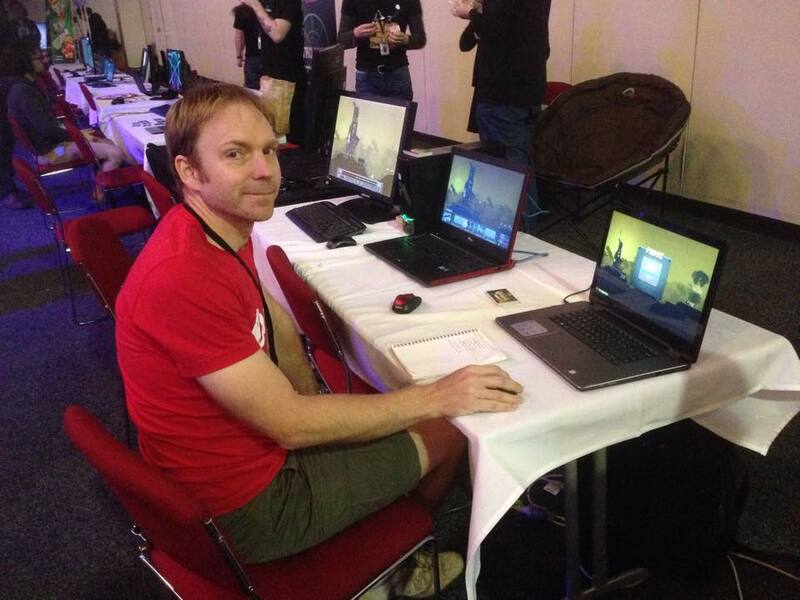 It was wonderful to return to my home city of Adelaide to introduce gamers there to Forts during AVCon. After a bit of difficulty getting our passes we made our way to set up on Friday evening. Eventually I had a couple of power cords tested and tagged and then we hit the town for a bit of last minute shopping. I needed two cordless mice and a network cable for showing multiplayer. This time we had three machines: two laptops and a PC. After that Anna and I had dinner at the famous Yiros shop on Rundle Street. Brad who organised the Indie Game Room did a stellar job. There must have been 50 odd games on show altogether. We were between the venerable and popular Armed with Wings and a new developer called Somewhat Interactive showing a meditative mobile game called Slidance, involving sliding squares around the screen. Across the way was Mighty Kingdom’s mobile game Boombot and Volnaiskra’s platformer Spryke – a fun but challenging game featuring a fish as the player character. My good friend from Ratbag days, Szymon, showed up in the morning to assist for the day. The morning started slowly but soon we had a steady stream of players checking out the game. I had spent some time crafting a new map to exhibit at shows. Previously we used a more-or-less symmetrical map with a combatitive AI. This showed players the core gameplay, but the learning curve was too steep, causing frustration. 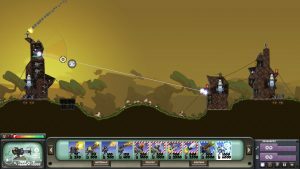 This time I gave the AI a larger structure but fewer powerful weapons: several machineguns and one heavy mortar. This minimises enemy attacks and reduces the number of fires the player must put out, while still showing action and putting a time limit on the game. 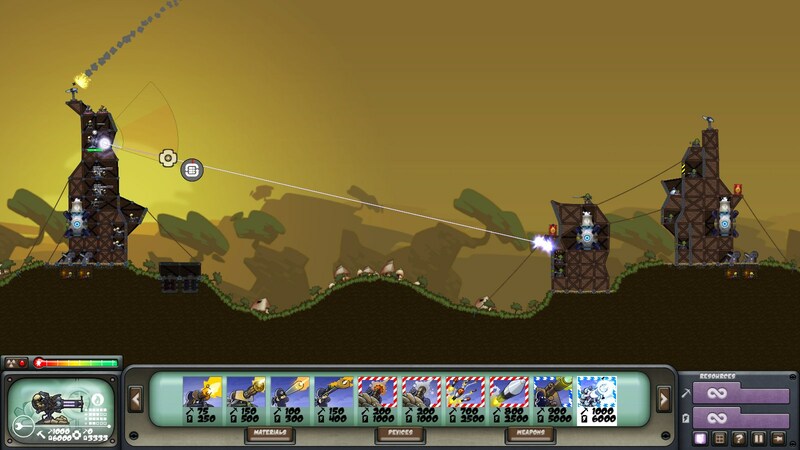 The player has a complete array of weapons to wield with a short gap to bridge in order to control two missile launchers. Of course most maps do not start like this but we want new players to experience an exciting introduction to the game. This new strategy turned out to work almost perfectly. I could show people how to select and fire a single weapon, how to group two similar weapons and how to repair damaged structure. This would keep them going for a while. If they really got into it I would show them how to extend the structure to control the missile launchers, which are more complicated to aim and fire. If players happen to suffer critical damage they could restart to give it another go. One young man play the game for over 2 hours. I had to ask him to give other players a go – and he gracefully gave up his seat and then started teaching the new players. There were many youngsters of six years old and up who also gave it a good bash, showing that the usability improvements we have made since PAX Aus last year have paid off. D1DLC had me on camera for a short interview, and today Forts appeared on Brad’s top picks for AVCon. There were a few minor issues with the map. The first was the absence of tech buildings, so if any advanced weapons were lost they couldn’t be rebuilt. Another was that due to the fog of war feature, which hides the internals of the fort, it was not obvious where was best to target or what the AI was doing. I addressed these issues on Saturday night, making a mod to unlock all weapons, and turning off fog of war in the mission script. Sunday was busier than Saturday and the changes improved the experience. 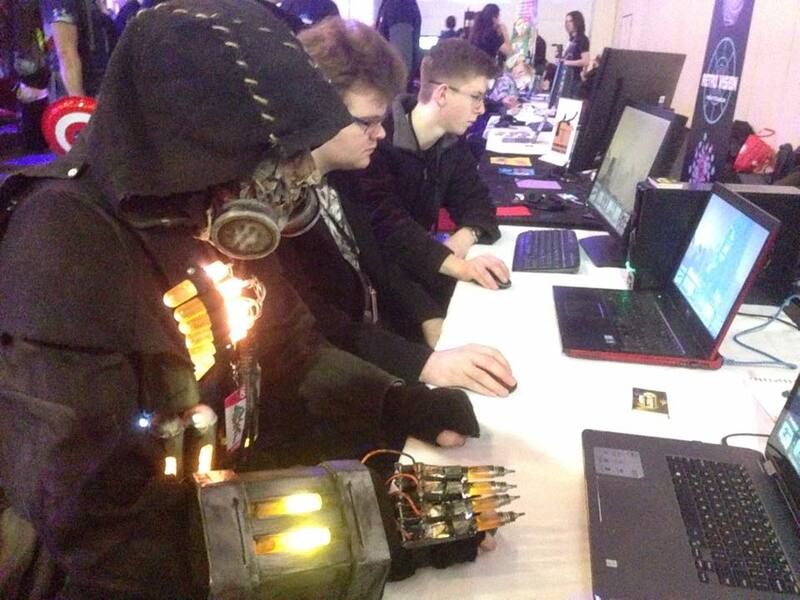 We managed to set up a few multiplayer games too, which are always fun to watch and coach. One of the highlights for me was seeing Anna teach a more mature woman the ropes, and then see them defeat the enemy fort. The game appeals to a wide range of ages and both genders. Feedback was very positive and one gamer told Anna he loved the game even before he played it. We managed to collect about 60 email addresses for the mailing list, and gave out perhaps 100 cards. All this is very encouraging. I’ve got a few more ideas on how to improve the introductory map, and a list of small changes that should reduce building frustration and make aiming easier. These smaller events are very useful for getting feedback and refining the user experience. Big thanks to Brad, Szymon, Anna and the AVCon organisers and volunteers for helping to put on a great show. ← Forts is Heading to AVCon! Launch Date and Commanders Announced! The Private Beta has Started! will green on PAX Aus 2015!